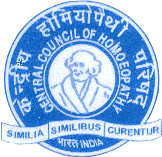 The constituent college of the Homoeopathy University, Dr. M.P.K. Homoeopathy Medical College, Hospital & Research Centre, Jaipur is the first to commence P.G. course in Homoeopathy and has a distinguished alumni list holding high level positions in academic as well in Government sectors. This P.G. College boasts of adequately equipped 64 bedded hospital and peripheral dispensaries which treat 300 patients per day thus providing an excellent learning experience for P.G. students. Every year minimum four seminars of world renowned homoeopathic practitioners and academicians are organized so that they can explore and share their knowledge with the residents. BHMS from any recognised institute of Homoeopathy.